A blog of creative art,cooking,and life. 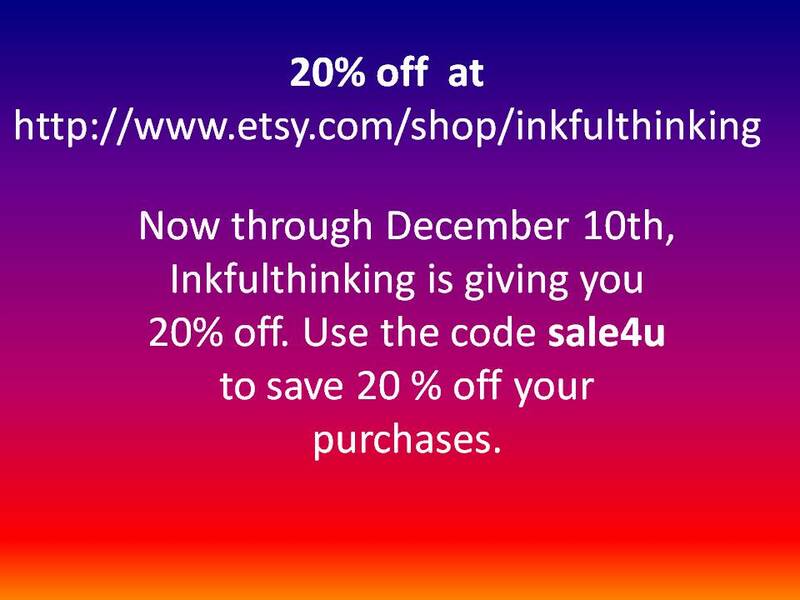 Inkfulthinking is having a sale! Come browse my stock of supplies, antiques, and hand made products. I work full time out of the home now. I hope to teach classes again. In the meantime Etsy is a great way to maintain my creativity, as I adjust to my life with a full time schedule. Come and enjoy a workshop where we will take an ordinary wooden cigar box and transform it into an extraordinary piece of artwork, suitable for display in your home. We will use papers, ephemera, inks and other adornments on and in the cigar boxes. 11- 2 and bring a lunch. $25 dollars for the class. Bring a friend new to class and you will get $5 off the class fee. I will have all sorts of inks, papers (hand made papers, collaging papers, embossed papers) and bits and babbles available to you for adorning your box. I tried not to bring the kitchen sink but that is just too hard when doing a mixed media/ collage class. So be ready for lots of pretties for your boxes. You do not have to recreate the samples unless you want to. If you have a heat tool, ruler and or scissors please bring them to expedite the processes. Give me a call ( 941-704-3074 If I cant answer the phone, just leave me a message and I will call you back at my earliest convienience.) 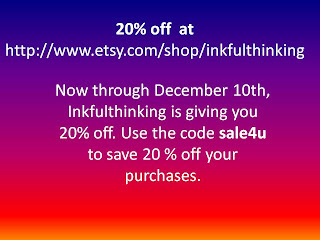 or email me at inkfulthinking@gmail.com to sign up and I will give you my address to mail a check to reserve your place. I have already received checks from some of you. seats are filling up. YEP, sadly, I have to discontinue my booth at Emilines. I have loved all that I have learned and I love the people that make up Emilines. I will be a regular visitor and some day may start it back up. Right now I am trying to secure a full time job and have to make room on my "plate of life". SO go shop and get 50% off in my booth. Jan is my last month. It has been fun. In my constant search for recipes that I can make healthier and more along the lines of my heart healthy diet I have found a spin on Spinach Pie that is very tasty and is lower in calories and fat. add the above ingredients together in a bowl and stir to combine ingredients. Gently mix in a half cup of feta cheese and 1/4th cup goat cheese into the mixture. Set aside the Spinach mixture and prepare the phyllo dough as directed with this exception : replace the butter with olive oil. Follow the same box directions for adding filling and add the Spinach mixture to the phyllo sheets and fold as directed. ** I also threw in a 1/4th cup of flax seeds. I liked them but they added a texture change and kinda popped in your mouth when eating. I think I recommend flax powder or running the flax seeds through a food processor and then add them to the Spinach pie mixture. Great way to get extra omegas without changing up the taste. I am a 4th generation Floridian. Married for 23 years to a wonderful man. Mother of 2 fantastic boys ( 19 and 21). When I am not with my family fishing,scuba diving or cooking and hanging out, I am in my art room creating. 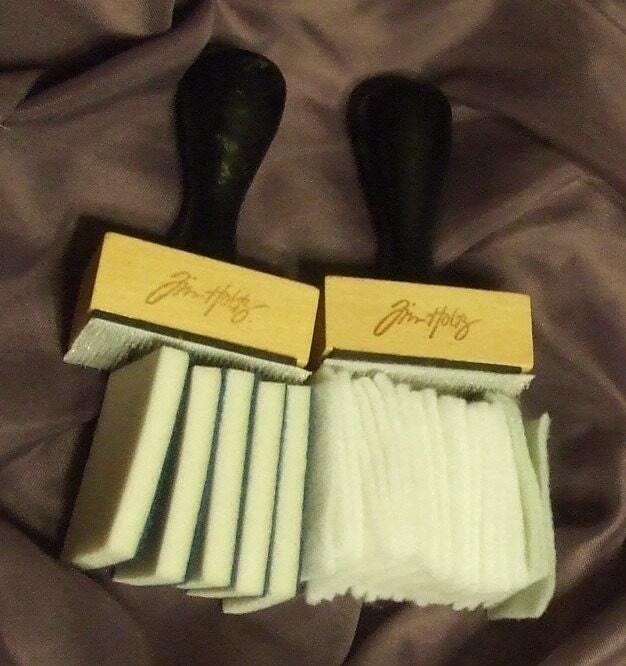 I have been stamping, crafting, and altering for 20 years now. Several years ago, I wanted to come up with a name for myself when I would sell or post art work on the internet. I asked my husband what he thought would be a catchie name. He said "What about Inkfulthinking? You love ink and create from a color/ink view point. " Thus, Inkfulthinking was born. It is very true, I have always loved to take something white or clear and bring it to life with color. 2018 Sale-a-bration - the best ever!